Creating a simple structure to your day can have surprising effects on your anxiety and depression. It allows you to take back control over your days and fill them with things you really enjoy doing. Having some structure also helps you fight back against anxiety because you start focusing more on improving your life, and less on the crippling feelings of anxiety. The idea of breaking out of the habits you’ve been stuck in for so long might feel a little overwhelming. You have been living in survival mode for a long time. Which means a successful day for you was just getting through the day without having a panic attack. You’ve done what you needed to do to get by. But now that you are ready to add structure to your life it’s time to focus on what is most important to you. Since you have struggled with anxiety, it won’t be as easy as just changing your everyday habits. If you try to move too fast, your anxiety will catch up with you. Instead, you have to listen to your body and how comfortable you are with trying new things. You’ll have to work on getting motivated again to help push you into a routine. Here’s how to structure your days when you struggle with anxiety. I used to struggle with morning depression. I still do have days where I wake up not feeling so great, but it’s not as bad as it used to be. I changed it by waking up at the same time daily and thinking about 3 things I’m grateful for before getting out of bed. If you wake up dreading the day, try to take a step back and plan out a simple morning routine. It’s hard when you have to quickly get up and get ready for work, so try to take 5 minutes to yourself and think about everything you’re super grateful for. What things fill up your heart? Think about the simple things that really make you happy. For me, that’s my dogs and my home and my boyfriend. I look forward to every evening where I can spend my time on our sofa hanging out with our pets. It is the most fulfilling part of my day, so in the mornings I remind myself of what is my favorite part about my life. Also, drinking a tall glass of water and eating a healthy breakfast is a great way to start your day strong. Take it slow and start with one thing a day in the morning to help get you motivated. When you deal with anxiety and depression, it’s important to start small. Nothing makes your anxiety worse than an overwhelming long list of things you have to get done. Instead, pick just 3 things from that list that you can get done in the day. This helps you keep up with things but doesn’t overwhelm you. If you’re someone who likes to plan for the week, you can figure out which 3 things to focus on daily, that way you will know exactly what you need to do each day. This can help keep structure to the day and gives you something to focus on while making you feel productive. Sleep plays a critical role in your mental and physical health. Too much or too little can have negative effects on your body. I am definitely guilty of not always sticking to my sleep schedule, but as I start to make my mental health more of a priority, I’m taking sleep much more seriously. Try to set a time every night that you know you can be in bed by. I personally set a bedtime of 11:00pm and am in bed by 10:30, that way I can unwind and calm down before it’s time to sleep. Try to set the right time for you, and work on getting between 7 and 9 hours of sleep each night. Getting up at the same time every day is just as important, including the weekends. (Which I know isn’t always possible, just try to aim for most of the time). The right amount of sleep will help even out your hormones and keep your mood elevated throughout the day. Which will help with keeping your anxiety levels low, and your energy will stay up. There are a lot of things you can start doing daily that will help with anxiety and depression. But trying to do a bunch of things at once isn’t sustainable. Especially when you are dealing with anxiety and depression. Anyone who tries to completely change their whole lifestyle in a day is facing a large uphill battle. It takes time, dedication and consistent action towards your goals. Even when you 100% don’t feel like doing it. Hearing that voice in your head to sleep an hour longer instead of going to the gym will eventually become stronger than your willpower. That’s why taking baby steps is a great way to start adding new things into your routine. Write out all of the things you eventually want to start doing, then pick one thing out of that list to focus on. Start by doing it for 5 minutes a day, and after a few weeks bump it up to ten minutes. It’s achievable and easy to start implementing new changes when they are small. You are working on a lifestyle change which means you don’t have to completely change your life in a day. Take that pressure off and try to enjoy the process of slowly adding in new things you enjoy to your everyday routine. I’ve found that when I look too far into the future, I get disappointed when I see how much farther I have to go. When you’re at the bottom of the mountain looking up it can seem very daunting to see how far you have to climb. And if you get too caught up in the future it’s really hard to see what’s right in front of you. Learning to take things one day at a time keeps you more in the moment. It also takes the much-needed pressure off. Try to enjoy the process as you are building up a new structure for your life and focus on today. Don’t think about tomorrow or your to-do list. Just remember what you’re grateful for and focus on making it through today. This also helps on the days where you feel more anxious than usual. It’s all about you making it through the day. Doing this helps break up your week and goals into bite-sized pieces that are easy to consume. There is a fine balance when it comes to your mental health. You want to push yourself to keep going in the right direction. But, you don’t want to overdo it to the point you never want to try again. It’s one thing when you try something new and fall on your face. It’s another thing when you suffer from extreme anxiety and doing simple tasks just seem like too much. Think about what you are comfortable doing, then try to push yourself a little out of that comfort zone. If you want to try going to the gym, try it for just 15 minutes. Or if you want to start dating again, choose the type of date you’d actually enjoy. And if you do end up getting in a spot that’s too uncomfortable for you, practice being mindful of the situation. 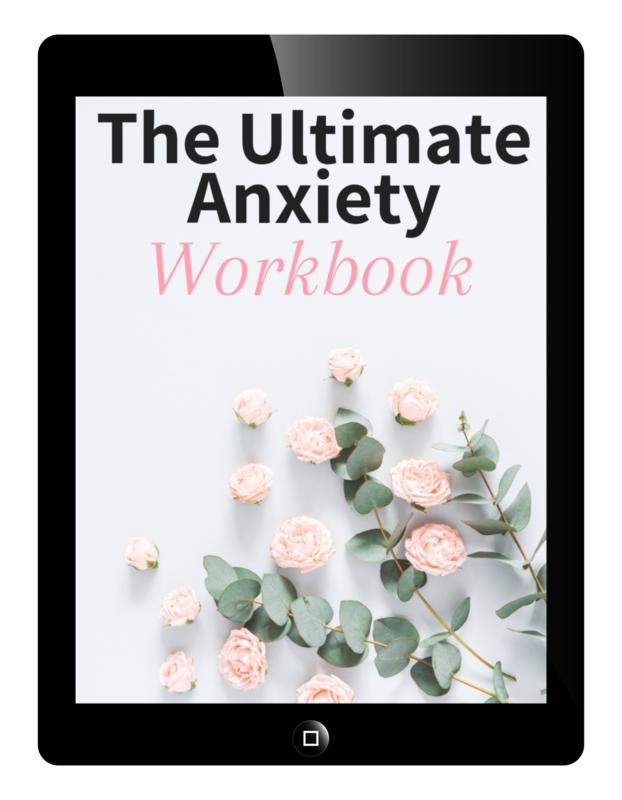 Your anxiety doesn’t have to completely control your life. As you start to build a new structure to your life, you will have moments that you just don’t feel great about all the changes. That just means you’re growing and pushing out of the dark hole you’ve been in for so long. Adding structure to your days helps keep you in check of all the goals you have for your future. You can finally start doing the things you enjoy, without the strong burden of anxiety holding you back. This is your time to shine and you deserve to create a life that is exactly what you dream of!